Zack Segovia will be coming back to Taiwan for his fourth CPBL season. The Chinatrust Brothers have announced the signing of the former Lamigo Monkeys’ RHP Zack Segovia today. According to ETtoday, the permission to approach Segovia before the February 28 deadline was granted by the Lamigo Monkeys in exchange for the rights to deal with the former Chinatrust Brothers’ Bruce Kern. 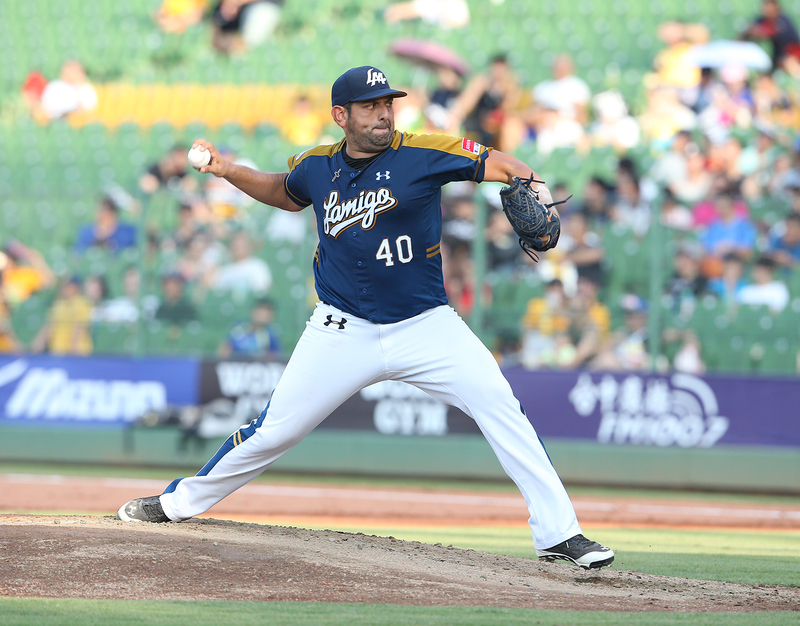 Segovia finished the 2017 CPBL season posting a 4.20 ERA and 1.36 WHIP across 26 starts over 165 innings with the league leading 16 wins under his belt. With the signing of Zack Segovia, Mitch Lively and Nick Additon, the Brothers have officially filled their foreign players quota for the 2018 CPBL season. It is still unknown whether they will sign one more players in the farm team or not. As per the report from Liberty Sports, Segovia’s 2018 CPBL monthly salary with the Chinatrust Brothers is at least $23,000 USD per month plus incentive. CPBL STATS are fortunate enough to get the opportunity to interview Zack Segovia. Check the below links for the interview. For what it’s worth, now that few roster spots are left for foreigners, Frank Gailey pitched extremely well in his start in the first round of the Australian Baseball League play-offs. He threw 7.1 shutout innings while allowing three hits and five walks and striking out 12. A player whom I did not mention in my previous run-down of CPBL prospects who pitched in the Caribbean winter leagues this winter, Bryan Evans pitched a great game in the Caribbean Series. Pitching for the Dominican Republic, Evans allowed Cuba only one run in seven innings pitched, giving up five hits and no walks while striking out eight. Two more spots left for 2018 season. (Guardians and Lions). Or maybe we will see Brothers invite a few more potential foreign players to attend their spring camp in Arizona. In the hurricane shortened Puerto Rican winter league season, Orlando Roman made four starts and got hit hard, allowing 13 runs, 11 earned, in 18 innings pitched, for a 5.50 ERA. He allowed 22 hits and four walks and struck out 17. In his only start in the Caribbean Series, he allowed two runs, both earned in four innings pitched, in a game Puerto Rico won to advance to the Series final game. We will see if the fact that Roman still appears to have something left gets him another season in the CPBL. I read an interview with Roman couple weeks ago. Roman mentioned he still want to keep playing as a player, but had received offer from both CPBL (Pitching coach) and NPB (International Scout). Daryl Thompson, whom I mentioned in my previous list of Caribbean winter league players who might be CPBL prospects, has made two starts for Venezuela in the Caribbean Series. He has allowed six runs, all earned, on 13 hits but no walks, in 9.2 innings pitched, while striking out 8. He has past MLB major league experience.